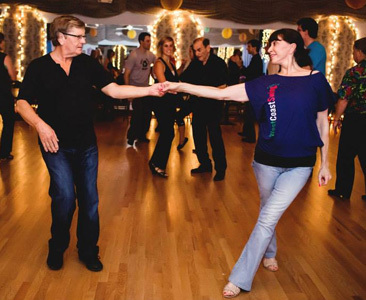 Jane started dancing WCS, CW2 and related social dances in 1995 in San Diego, CA. Although she is not a competitive dancer, that is the dance environment in which she received all of her training. She has trained with some of the best WCS and CW2 dancers in the world! 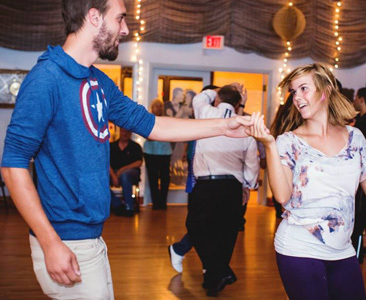 Her teaching focuses on building solid social dancing skills and having fun on the dance floor! 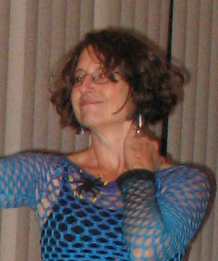 Jane began teaching dance in 2002. 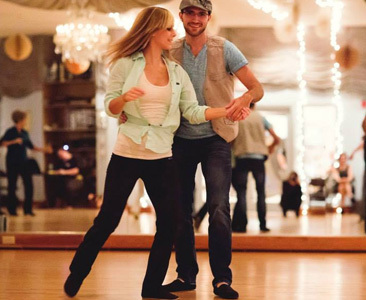 She taught WCS, CW2, Body Movement, and a variety of other classes and workshops at Pattie Wells’ Dancetime Center in San Diego from 2004-2010. During that time she was also a Patty Wells’ Dancetime Center dance party host and DJ, including running a weekly WCS Thursday night dance party. 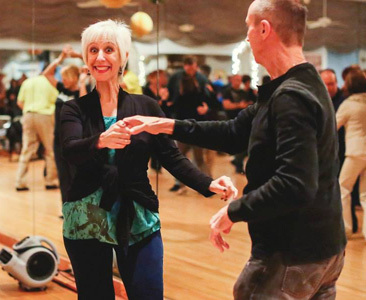 In addition to working with Pattie Wells’ Dancetime Center, in January 2010 Jane also began teaching classes and DJing parties at Dance For Two Dance Studio in San Diego, including an “everyone leads, everyone follows” role-reversal class that was a huge success. Jane and her husband, Jim, made the move to Saint Petersburg, FL in November of 2010 and are loving it here! 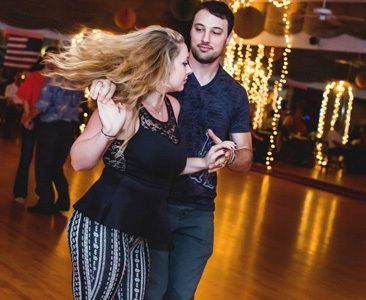 Although they miss their San Diego dance community, they’re happy to have found a really warm and friendly dance community here in Tampa Bay. 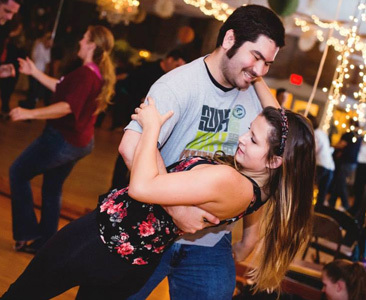 For current information on Jane’s classes and private lessons, please call her at 619-203-1922. You can also check out her website, www.janehance.com.